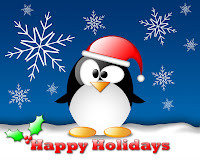 Individuals around the world are celebration the joy that the holiday season brings. However, The Grand Finale is full of holiday hate in this episode. I am not sure of what cause him to be so hateful, maybe Dennis Miller, but he was on one. We hope you enjoy this episode and we will be on vacation for two weeks and when we return we will have the return of the Sharpie Awards.